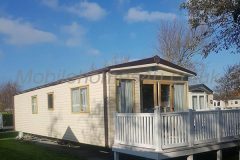 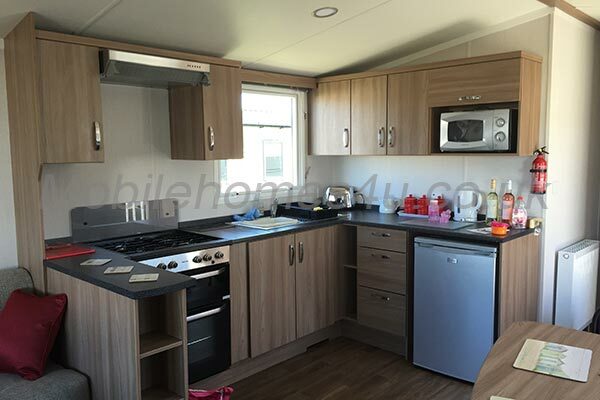 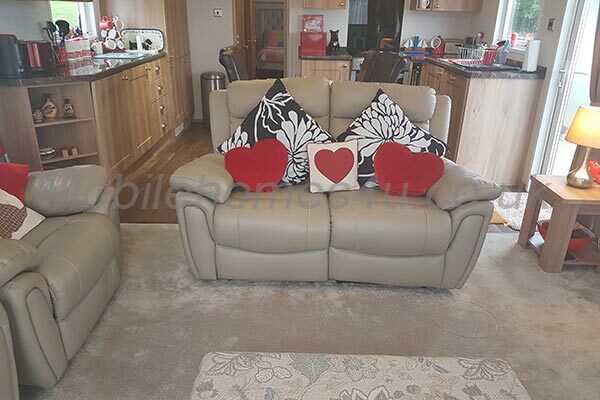 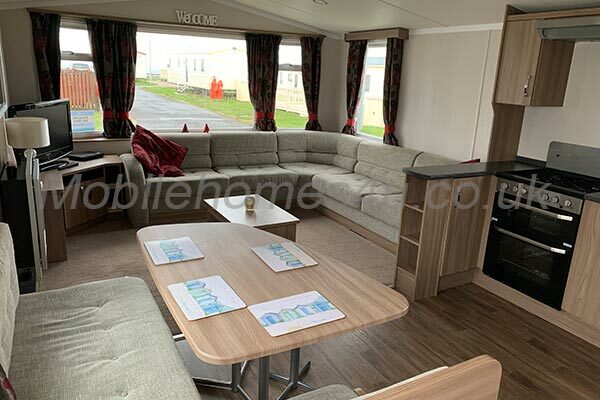 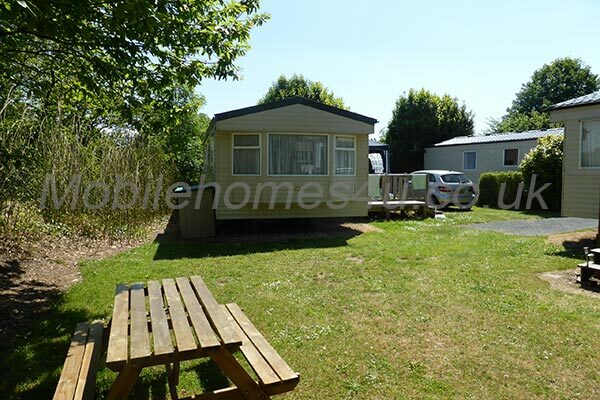 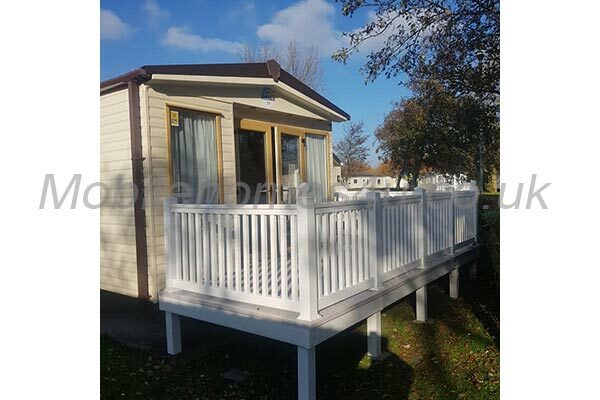 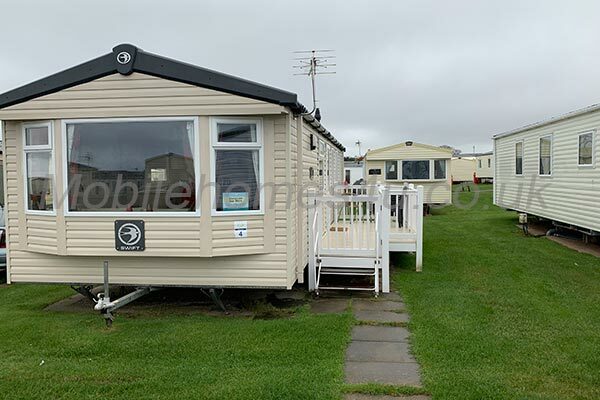 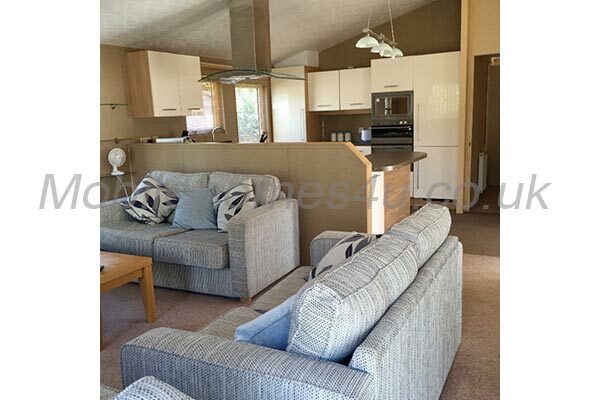 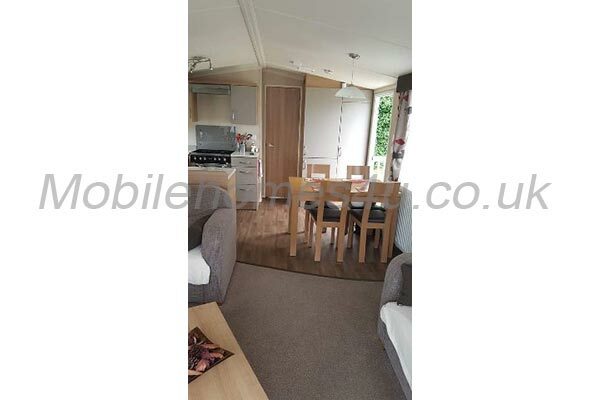 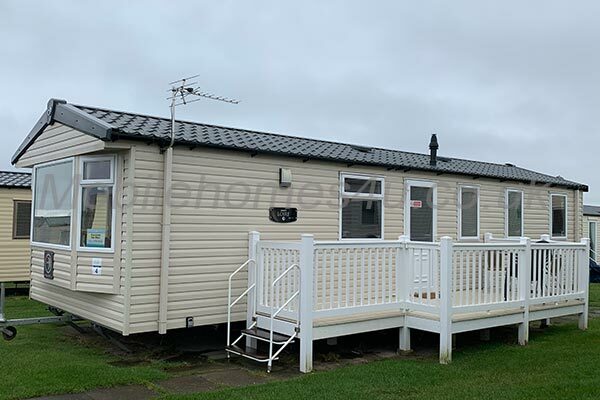 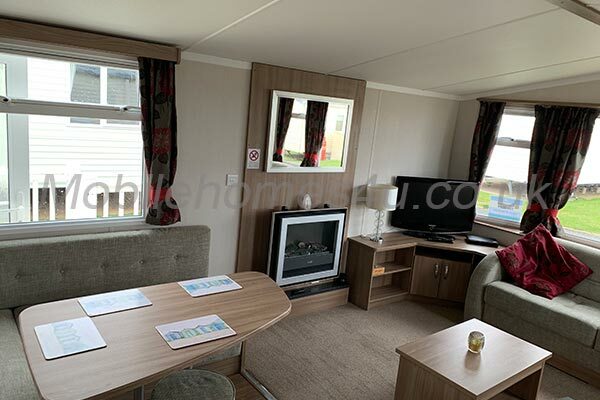 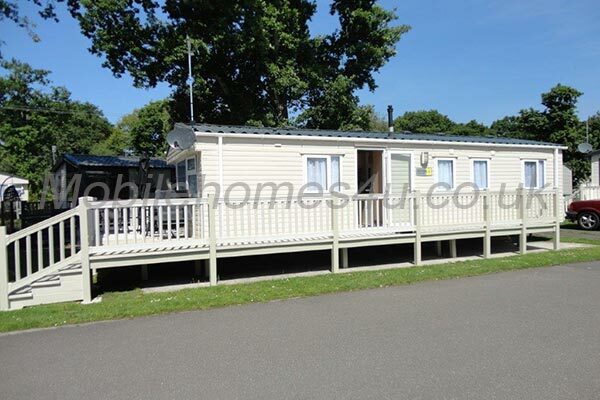 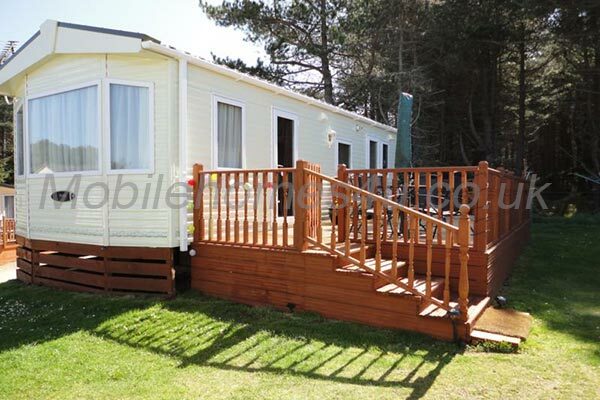 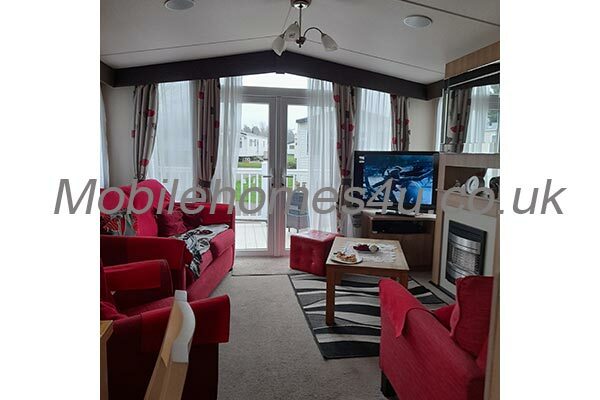 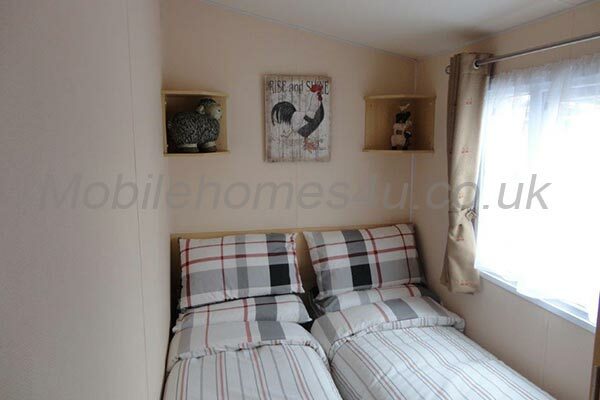 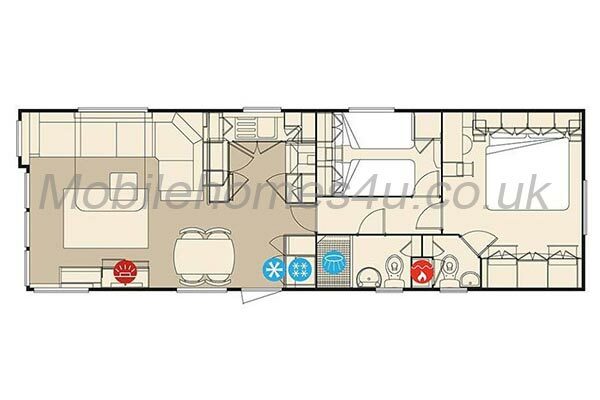 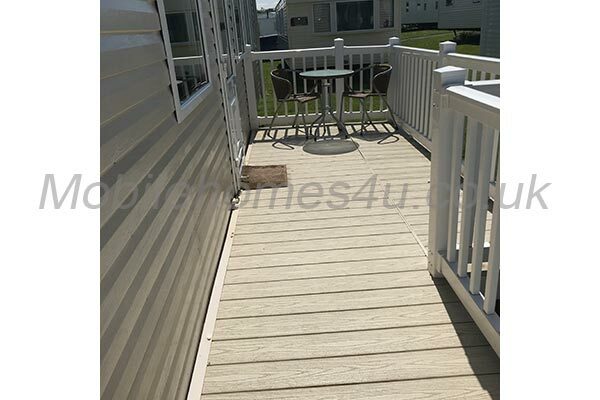 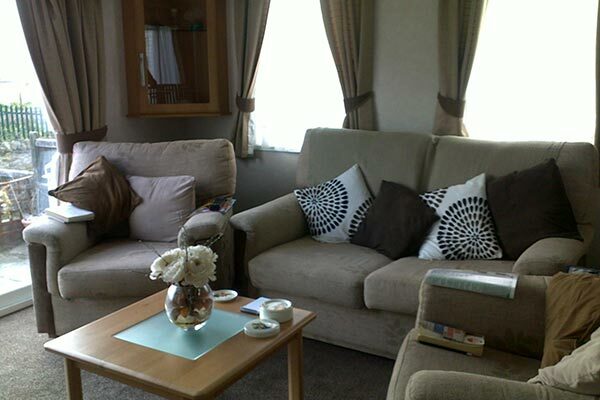 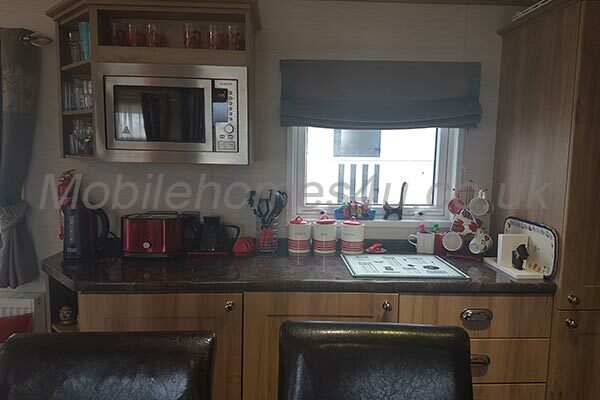 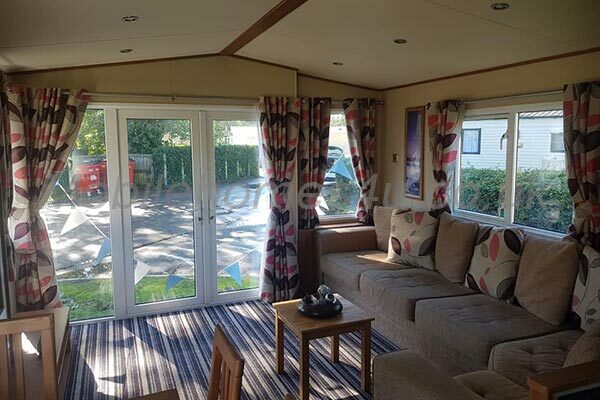 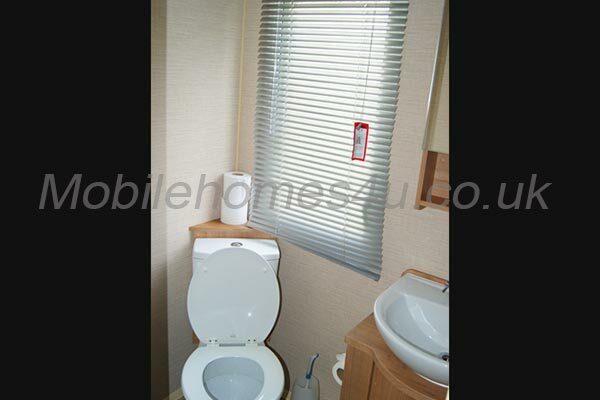 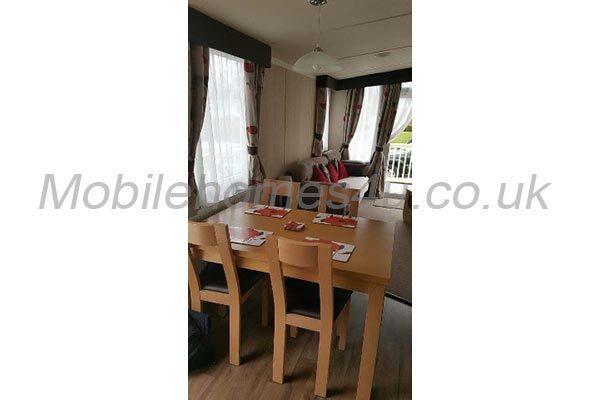 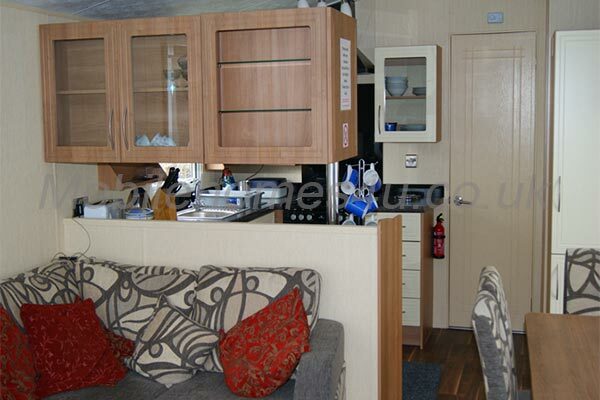 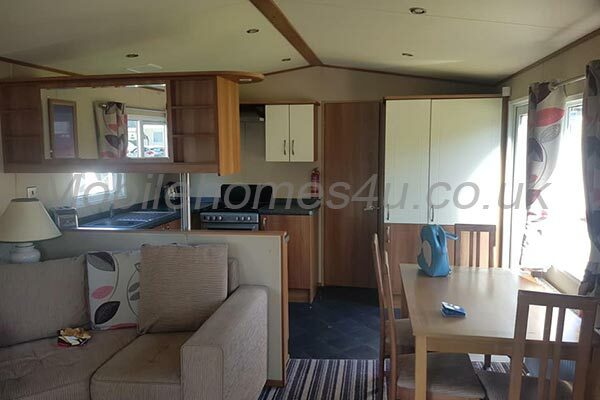 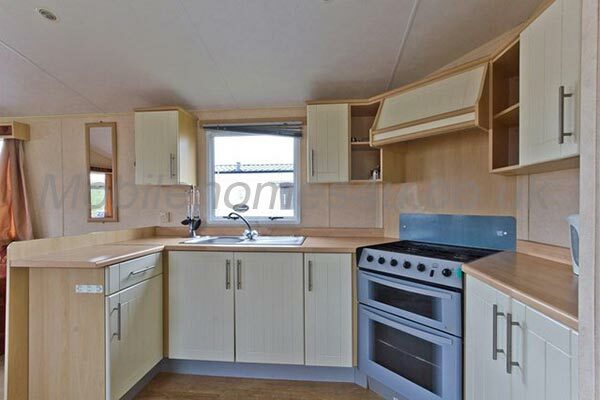 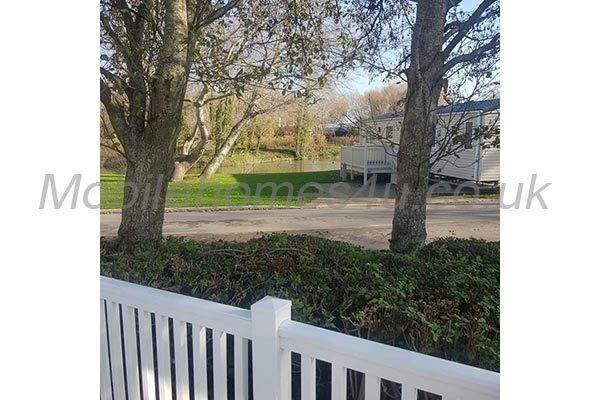 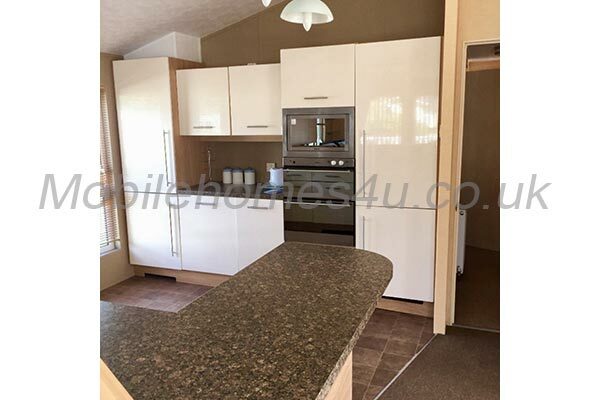 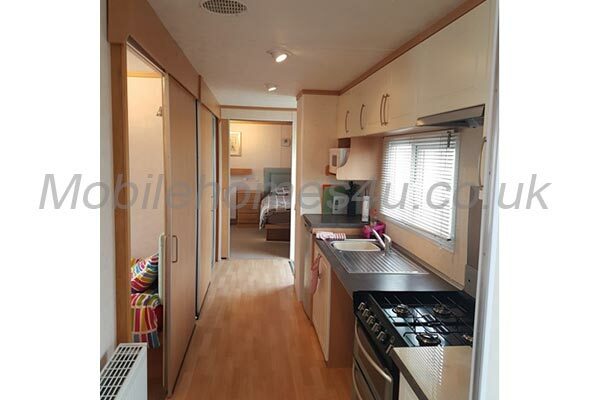 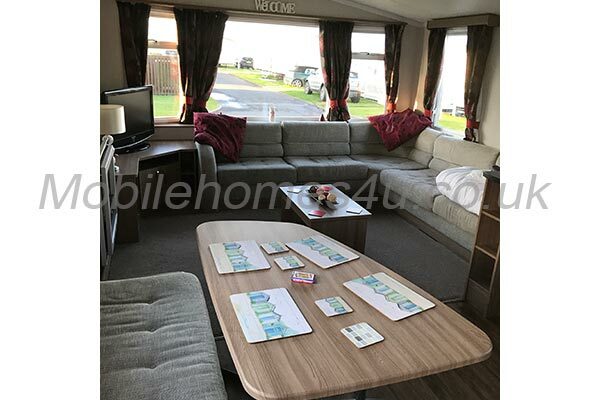 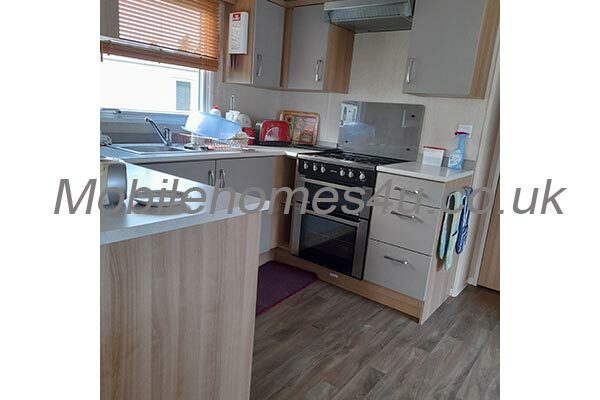 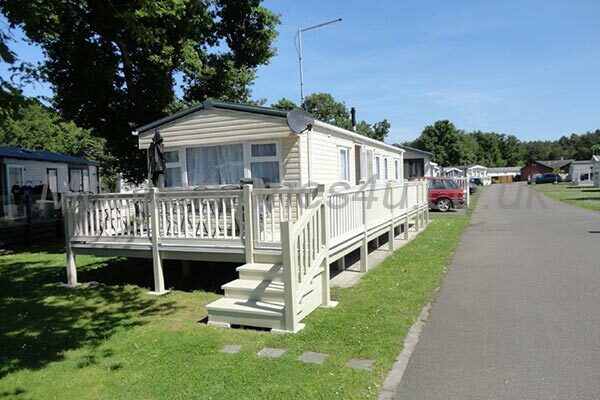 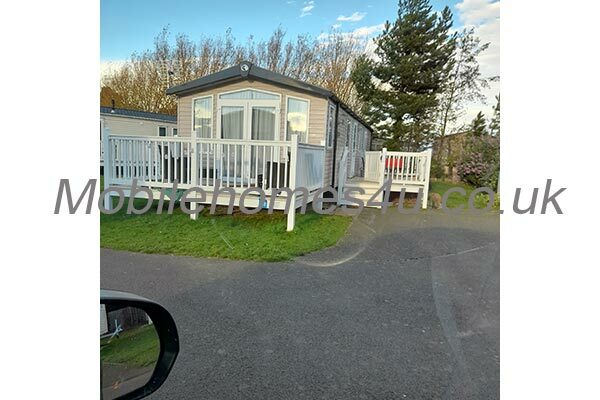 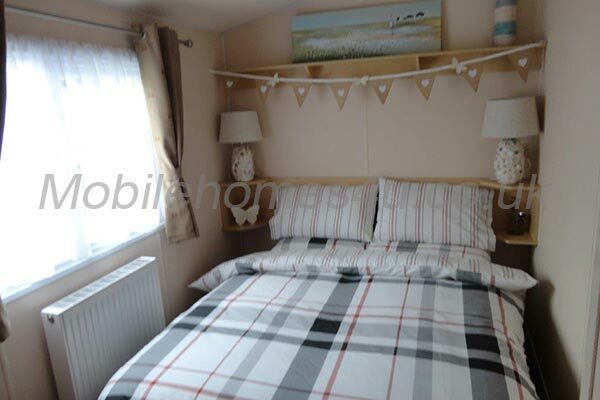 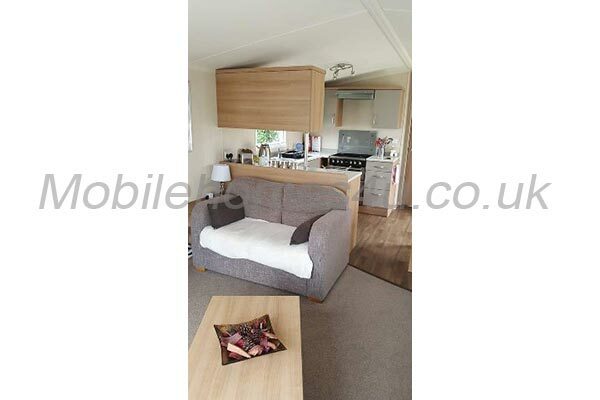 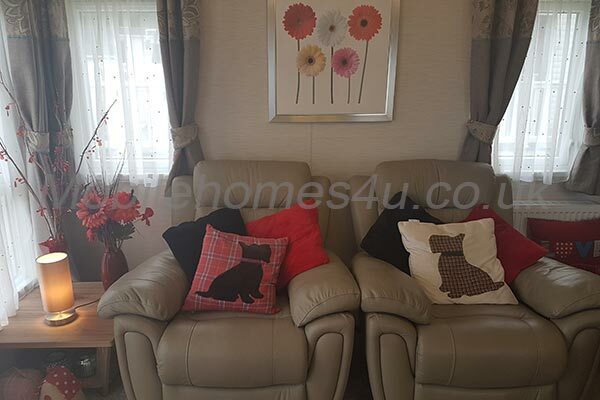 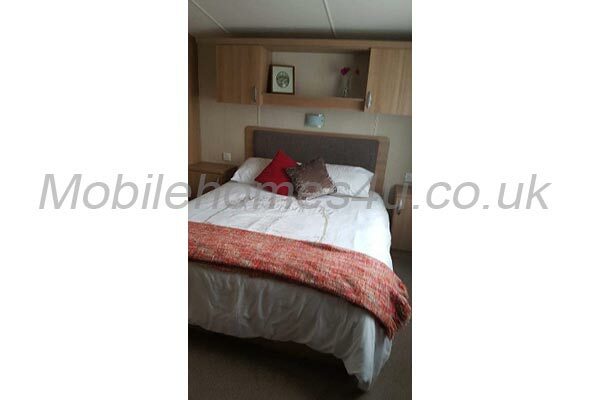 Central heated and double glazed, our very spacious, 39′ x 14′ Pemberton Park Lane caravan has its own garden with outdoor lighting, with parking alongside. 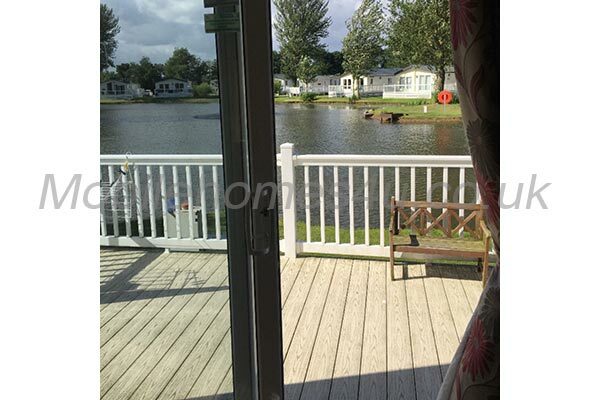 The huge French doors overlook the Welsh countryside. 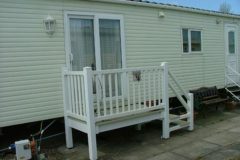 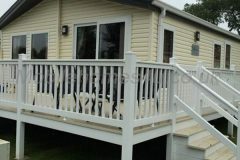 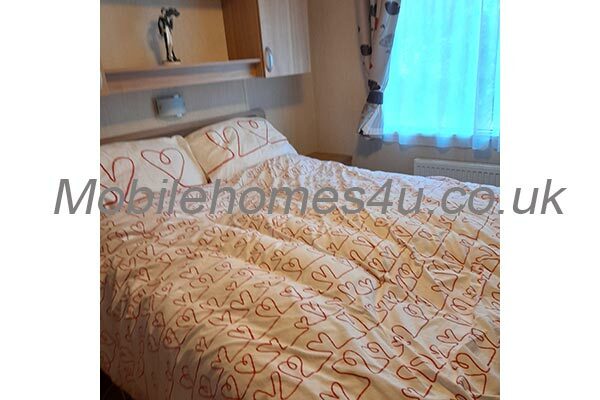 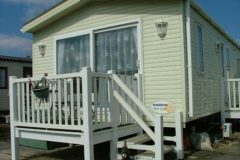 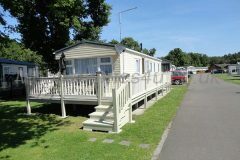 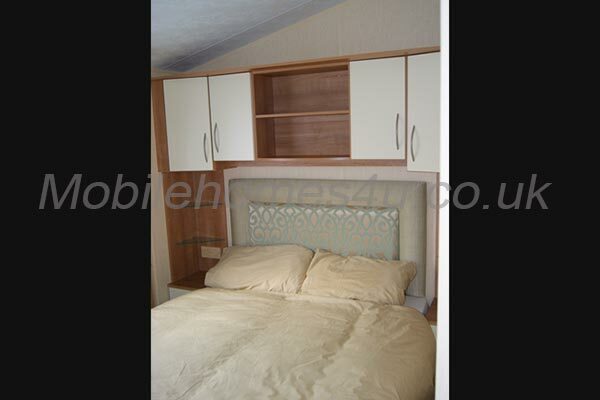 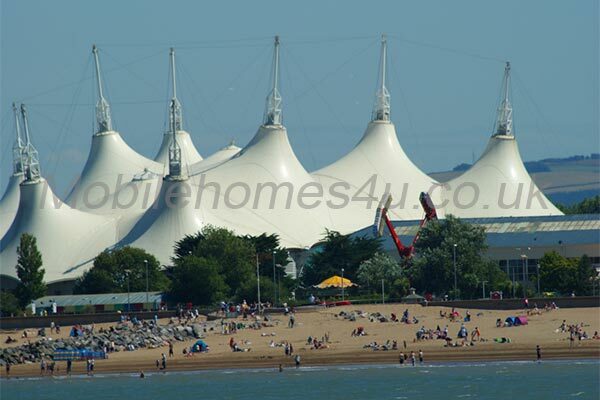 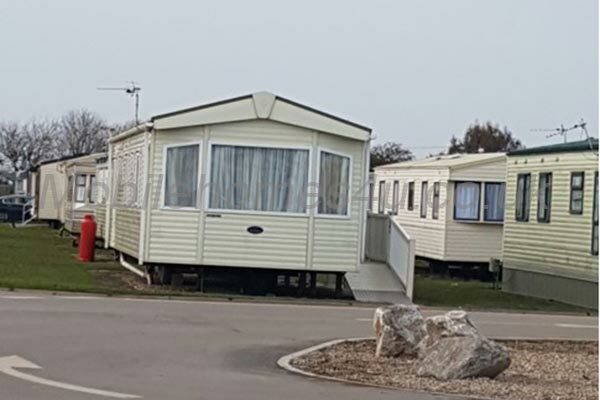 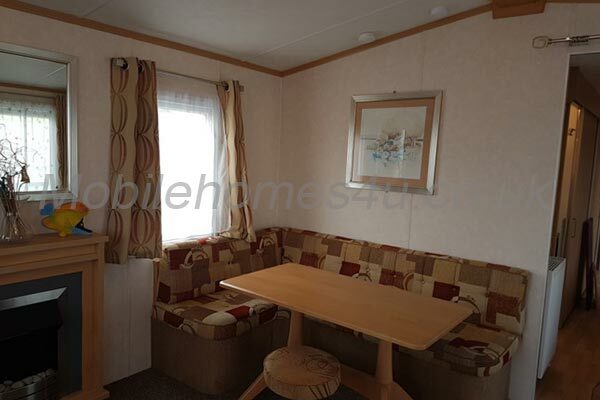 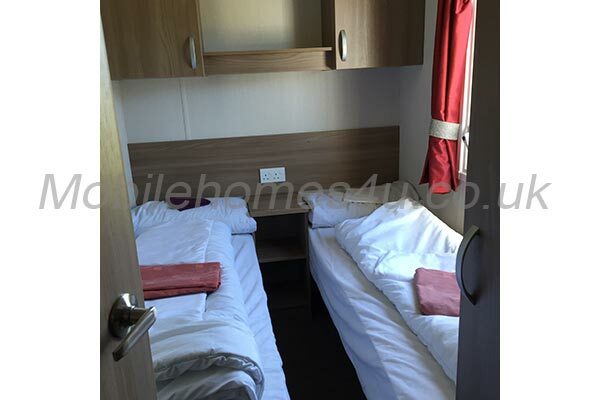 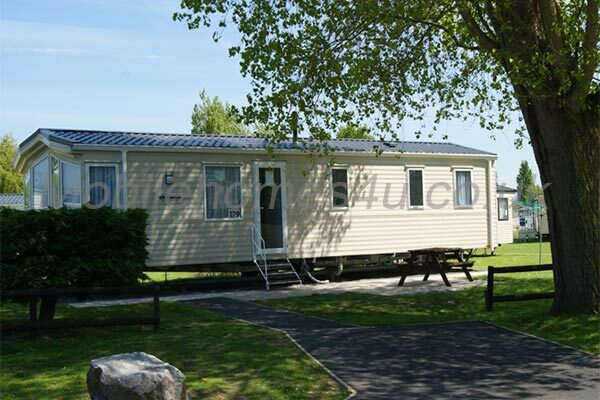 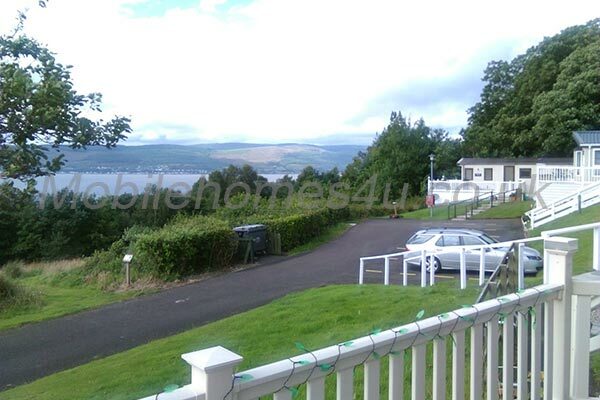 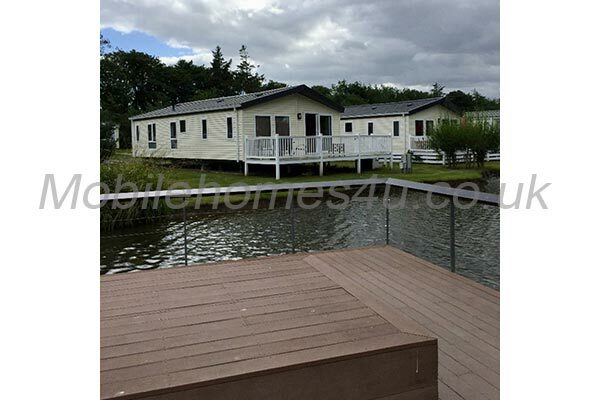 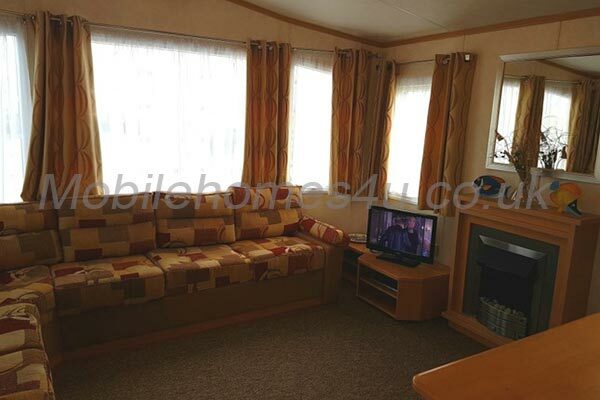 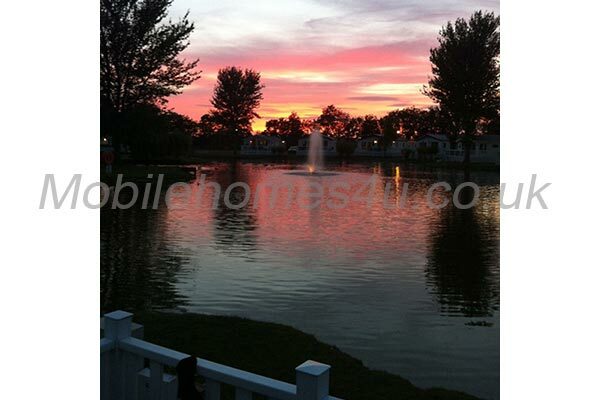 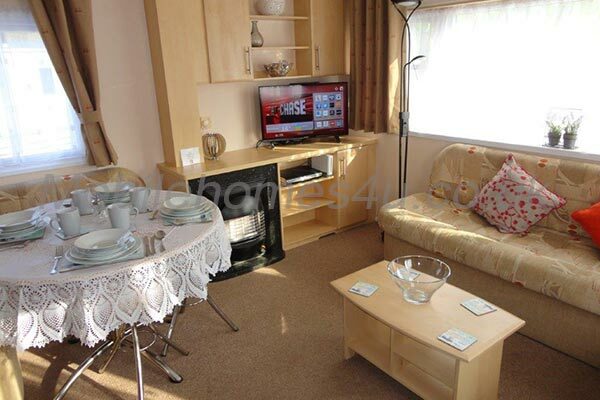 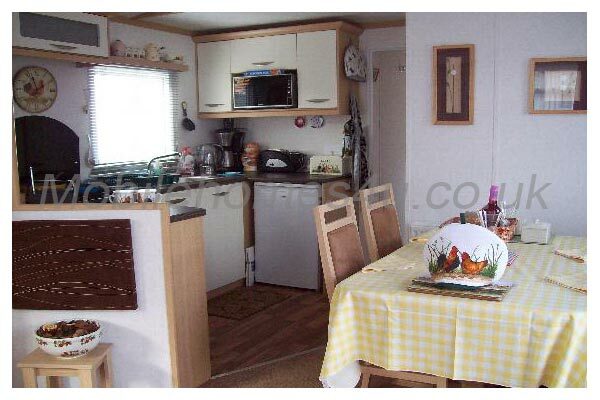 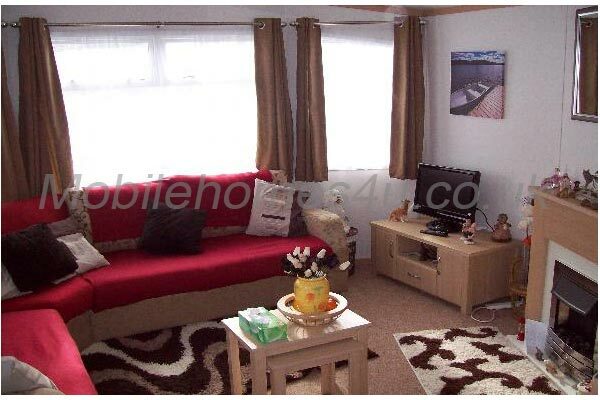 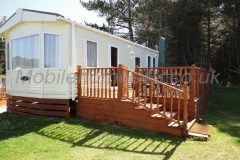 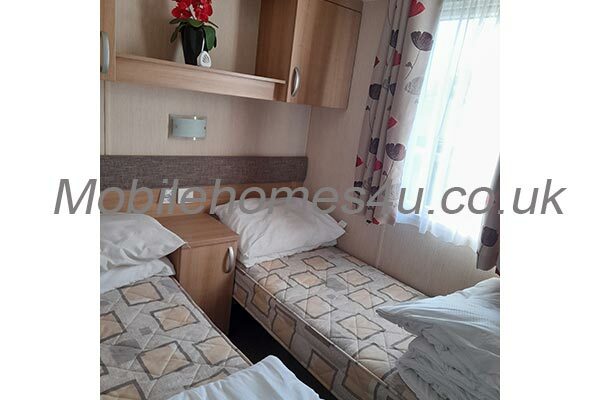 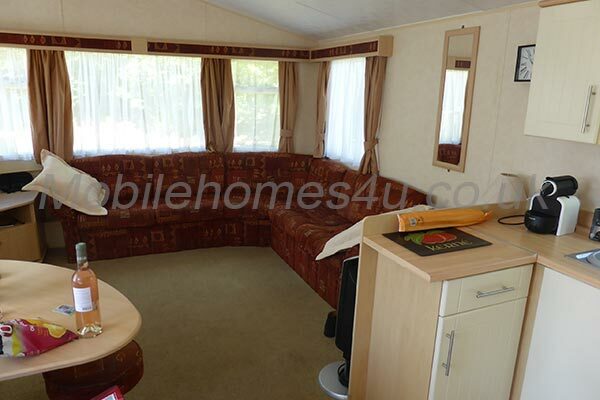 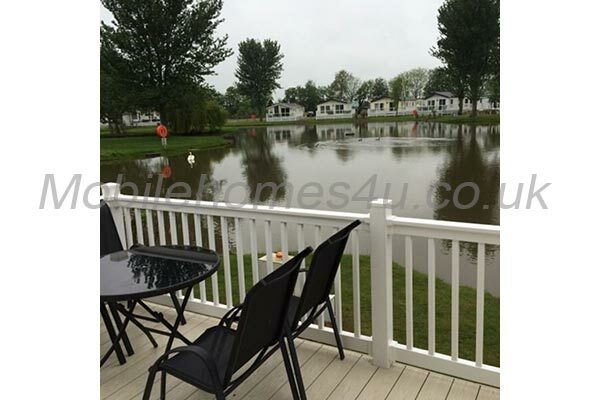 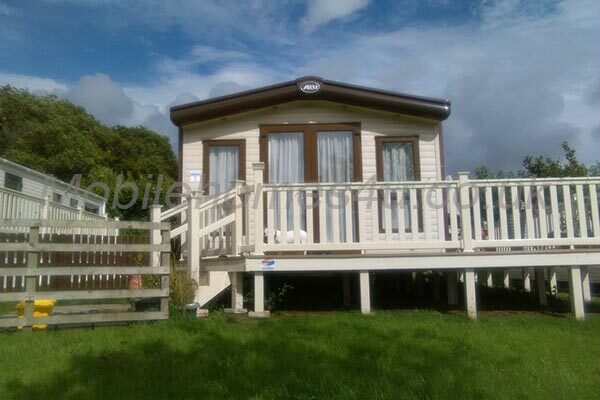 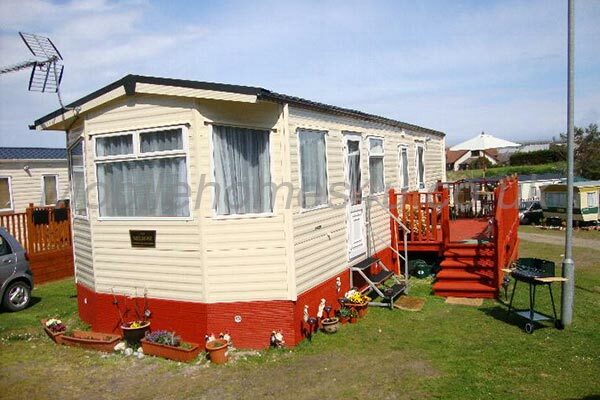 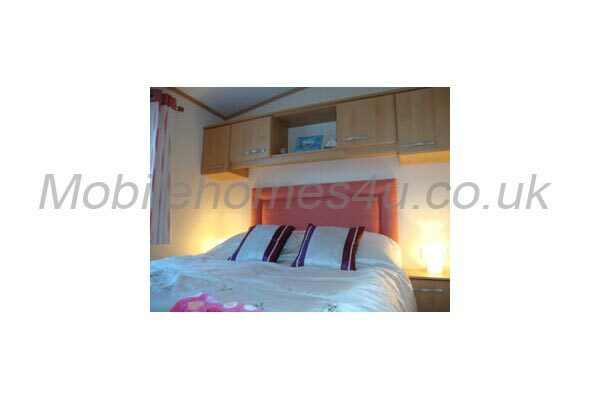 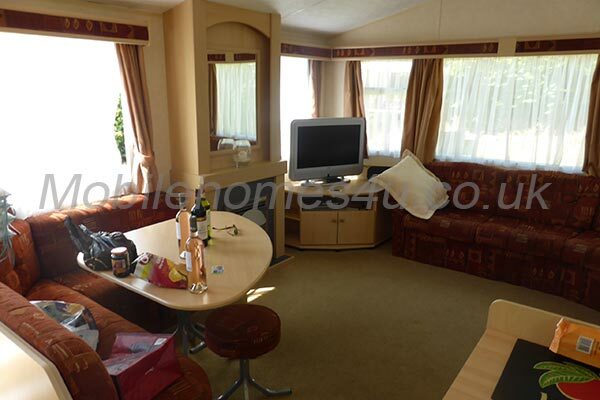 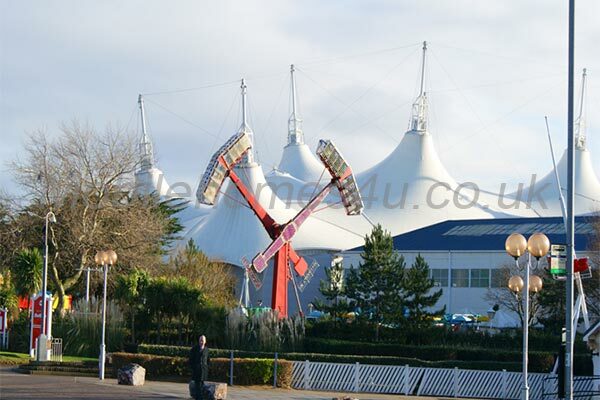 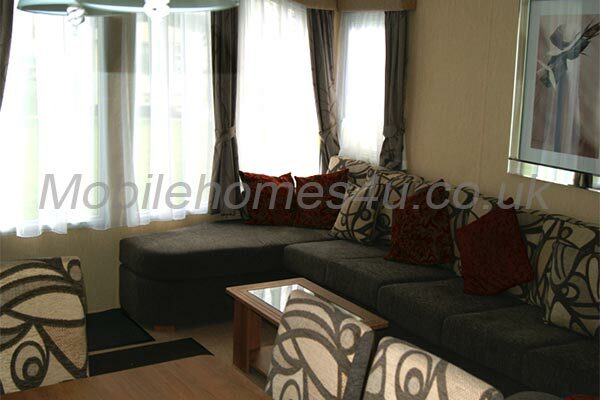 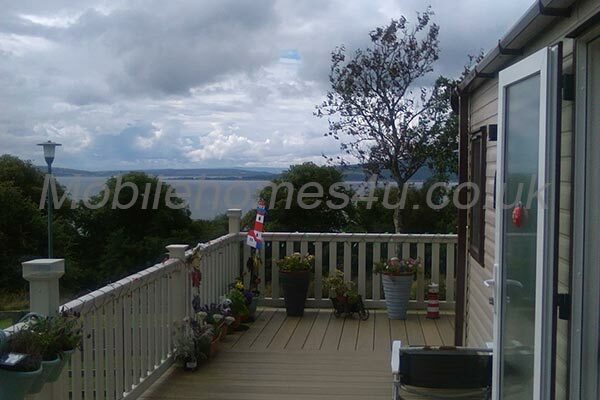 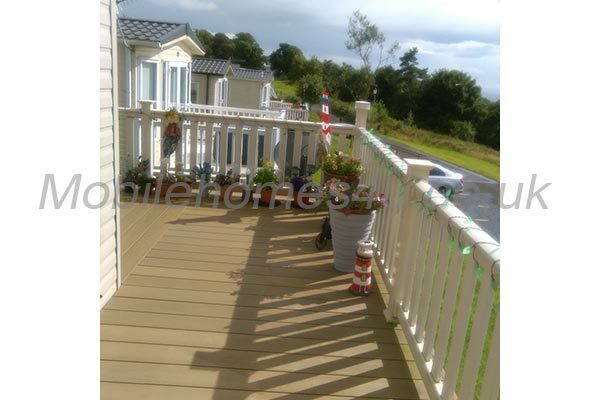 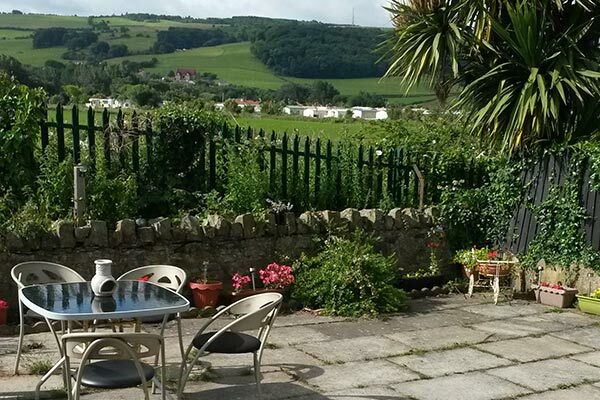 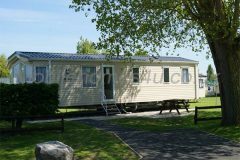 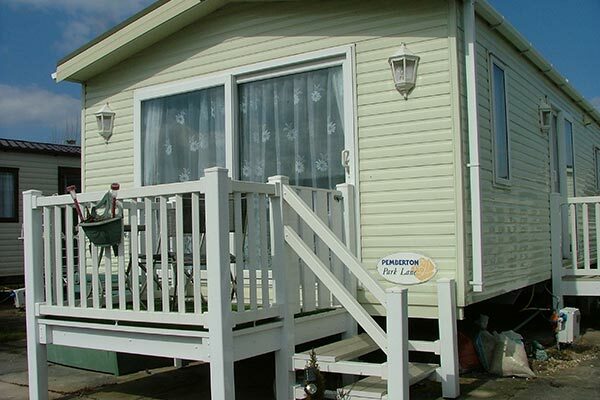 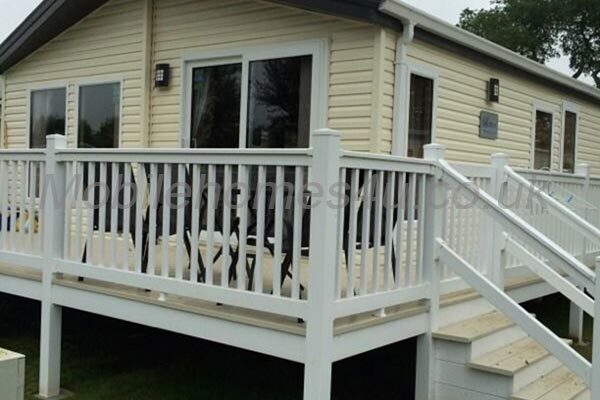 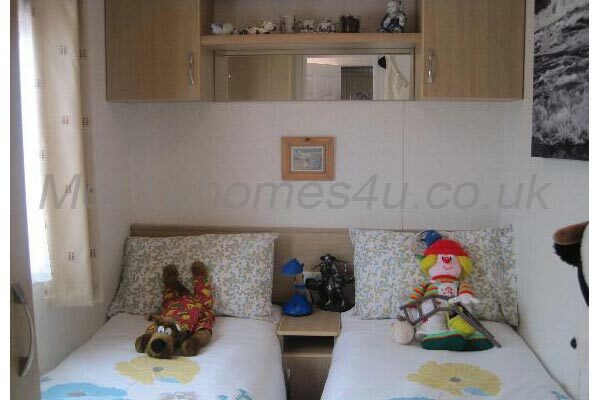 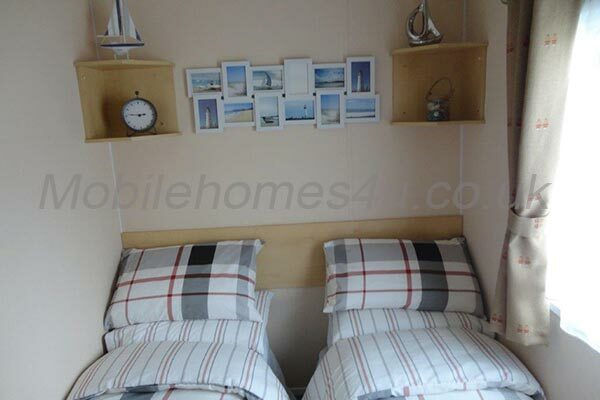 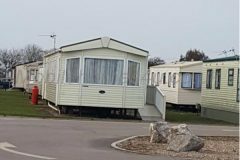 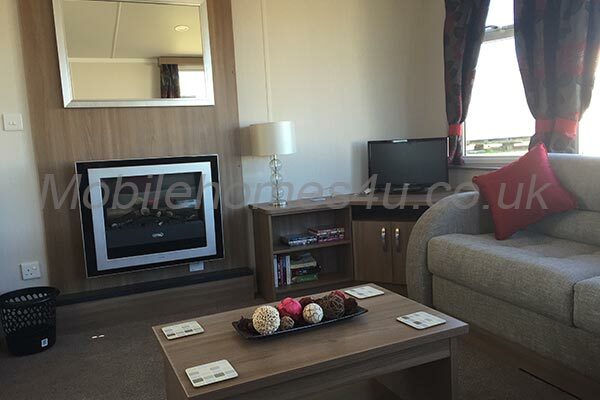 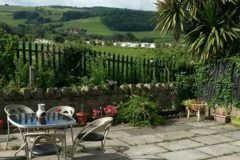 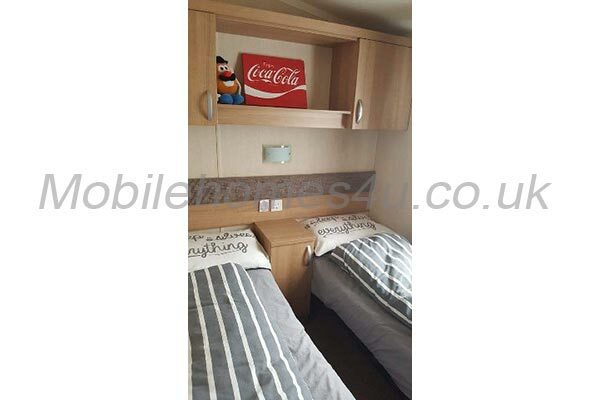 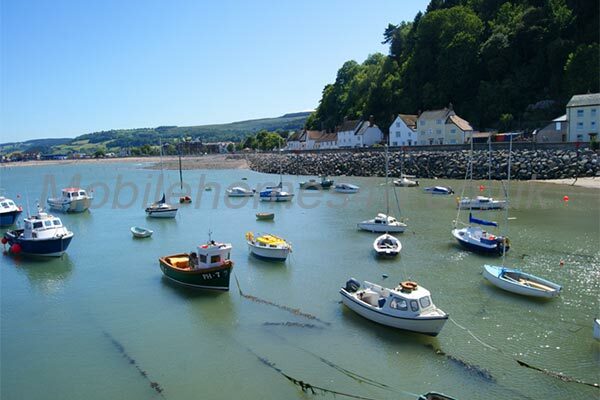 For friends and families wanting to holiday together, we have another caravan 4 plots away. 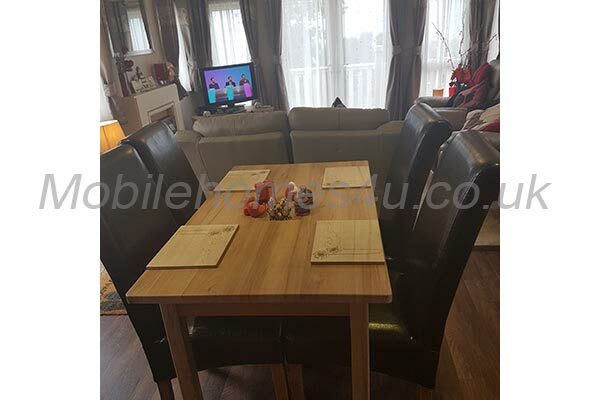 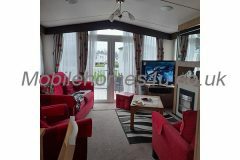 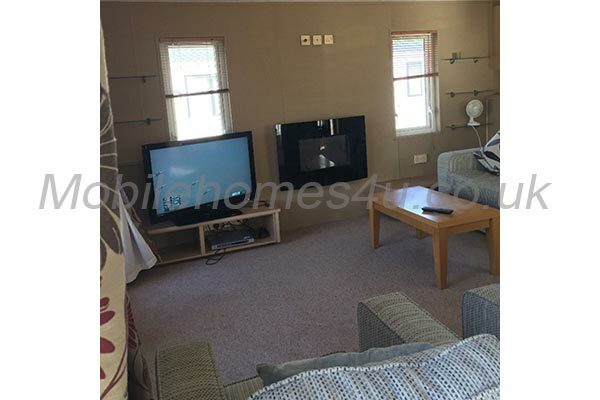 The living room is spacious and with a free standing 3 piece suite, TV with Freeview, DVD player, recorder and stereo system. There is also a selection of games and books etc. 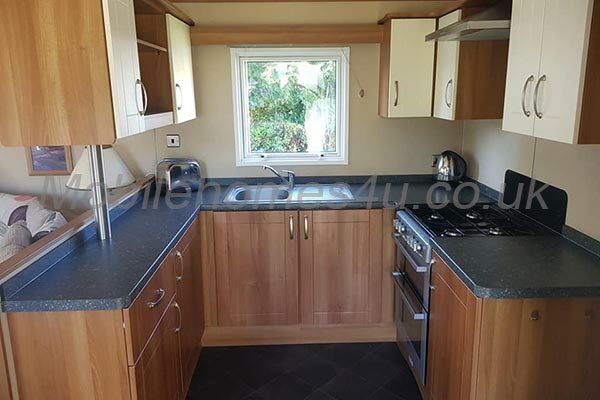 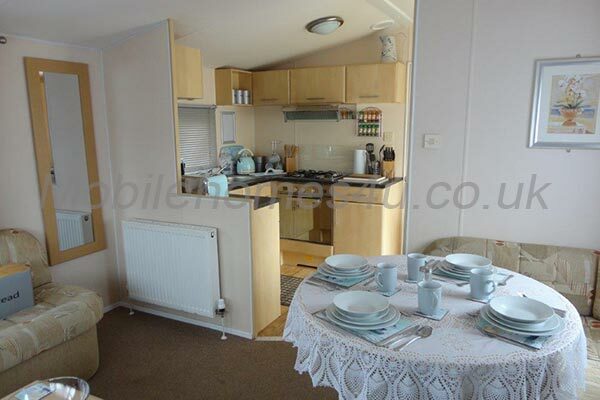 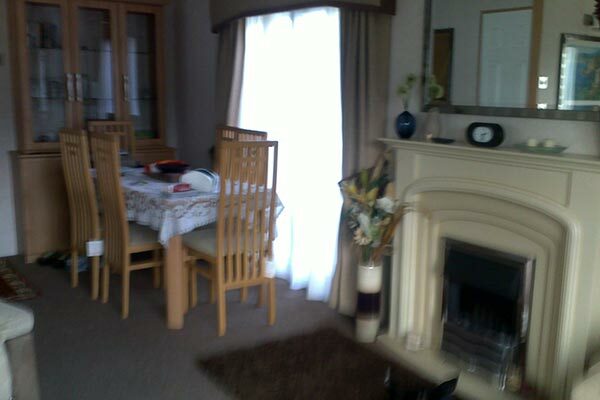 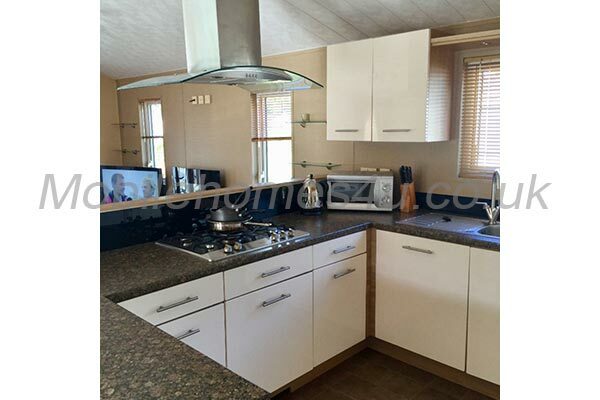 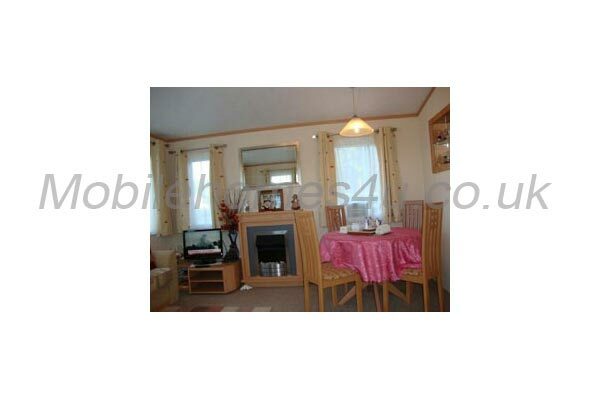 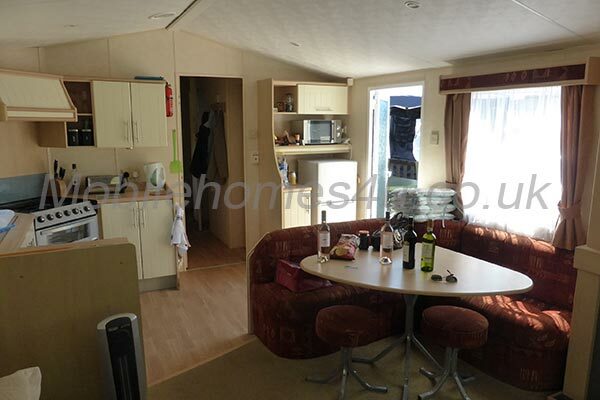 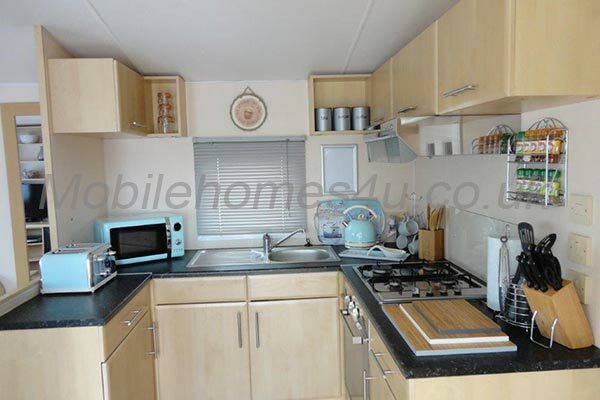 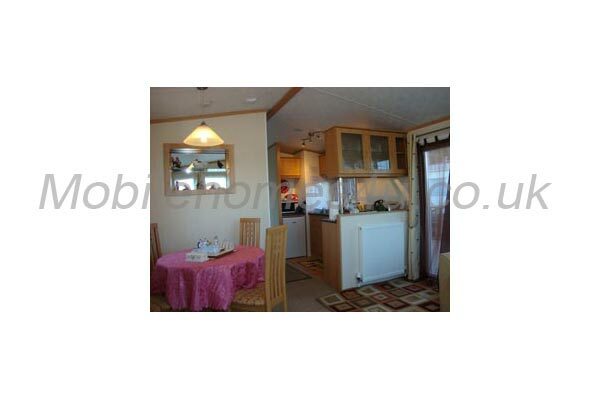 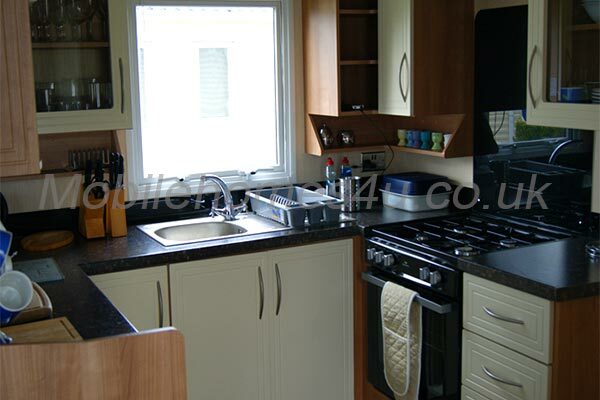 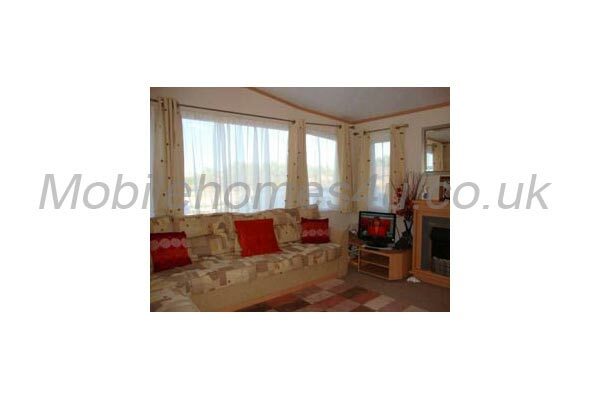 The modern kitchen has a large cooker, a 50/50 fridge freezer and microwave and is fully equipped. 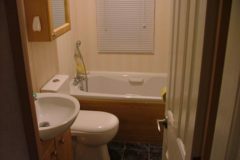 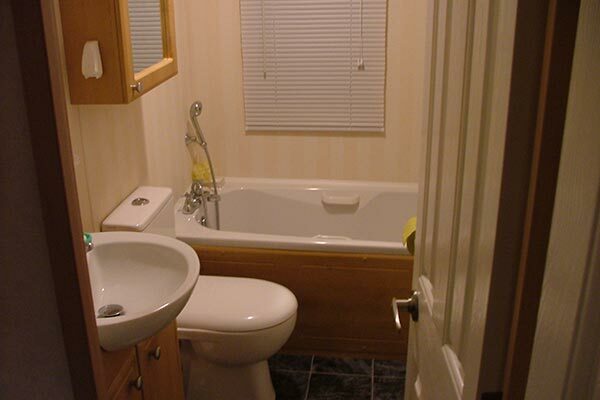 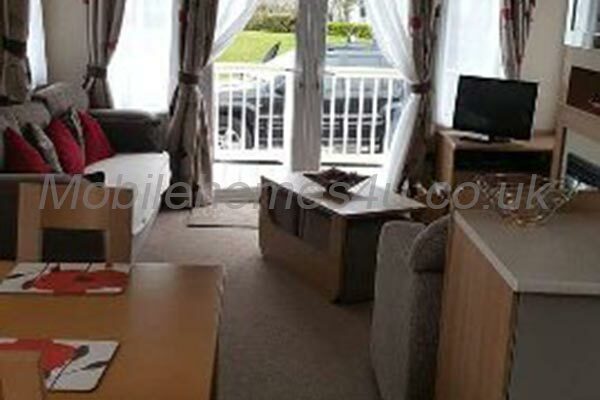 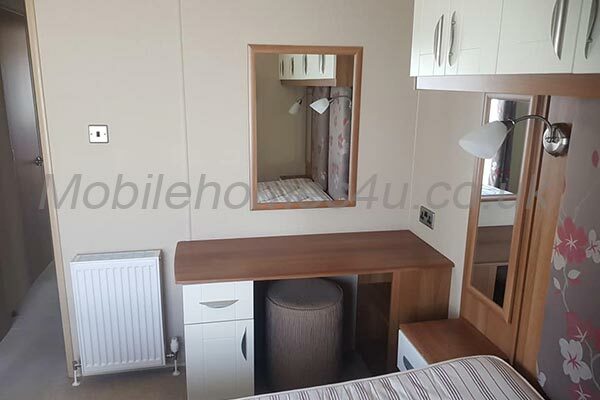 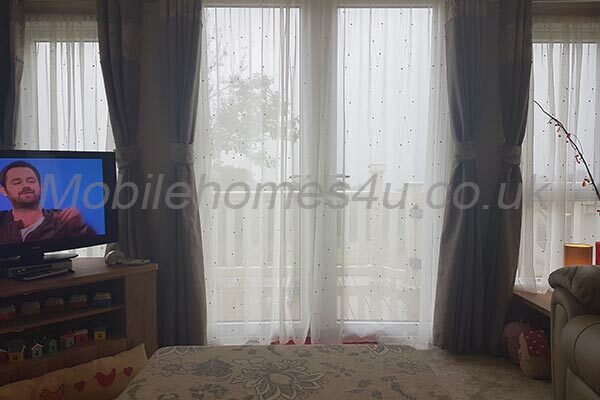 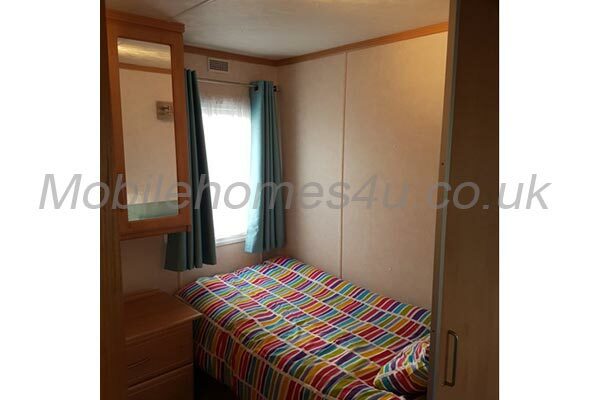 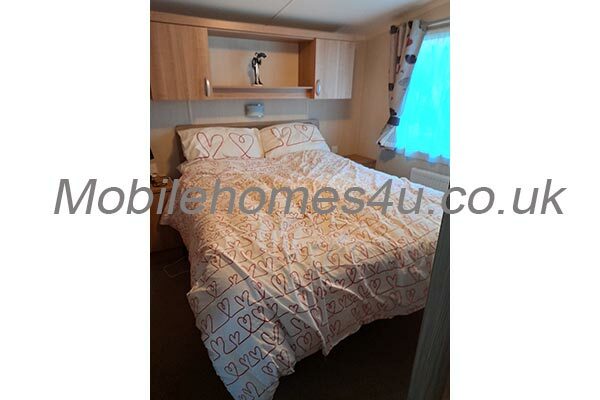 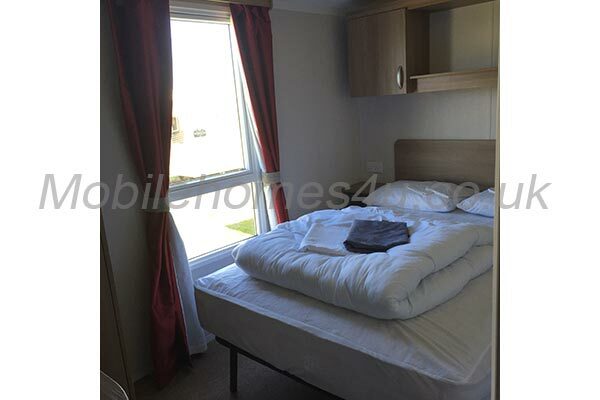 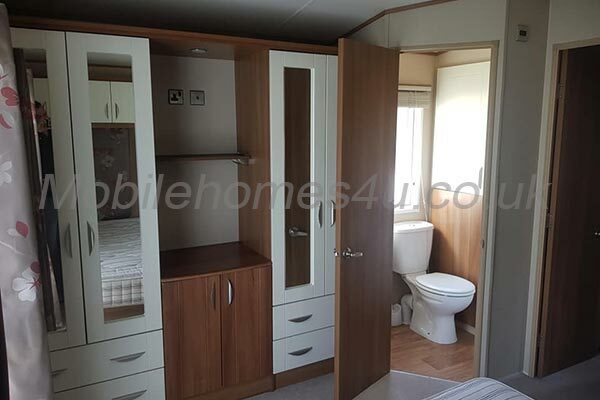 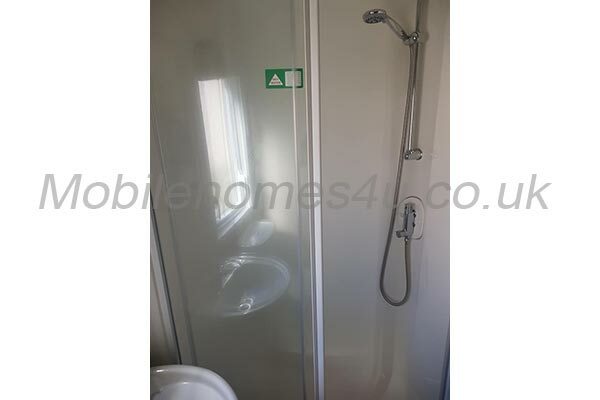 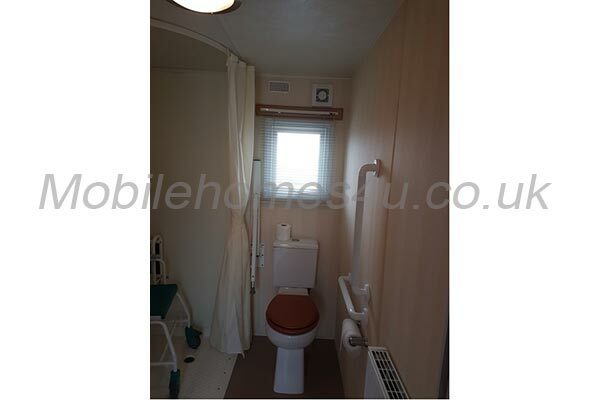 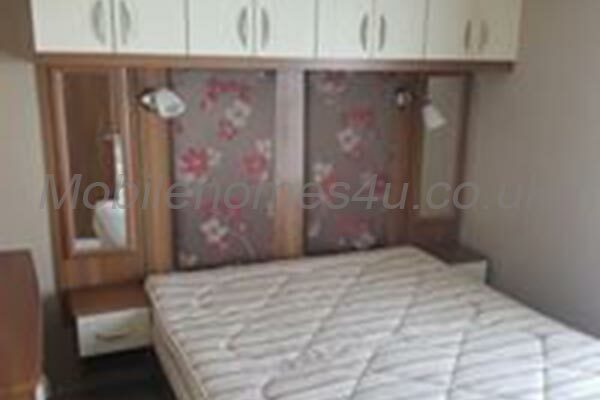 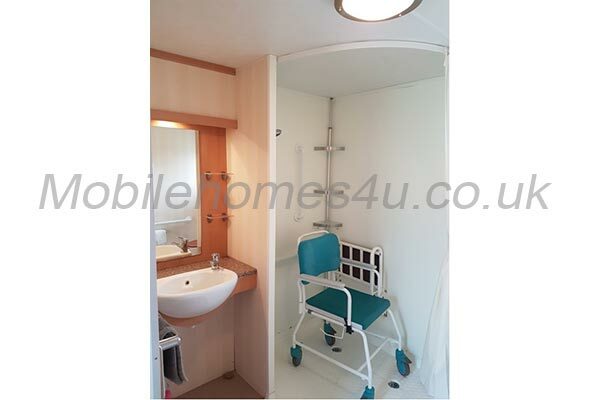 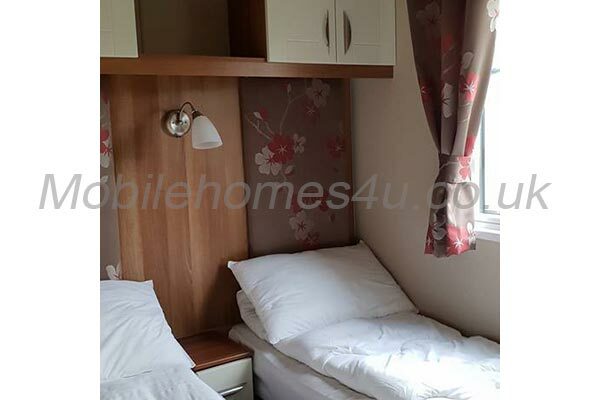 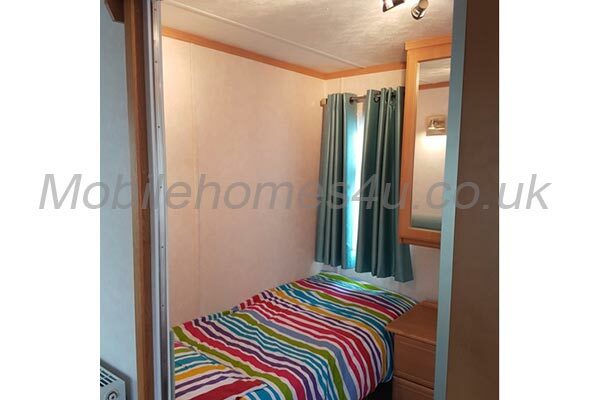 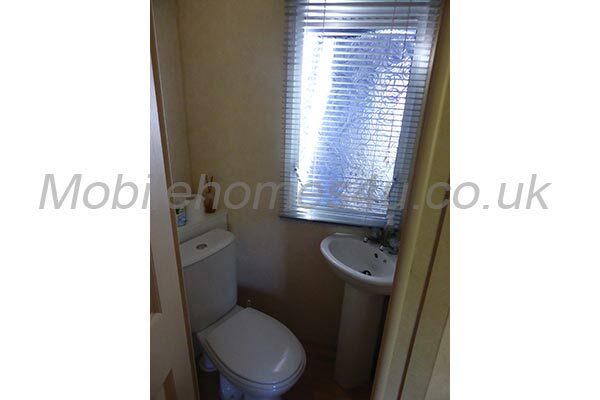 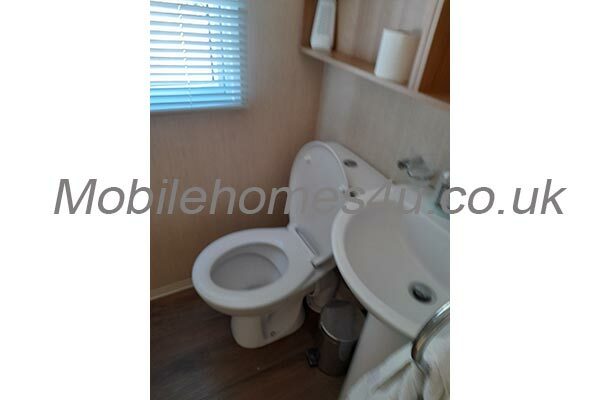 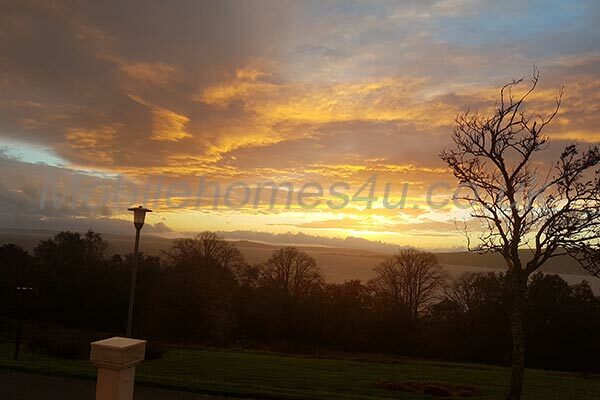 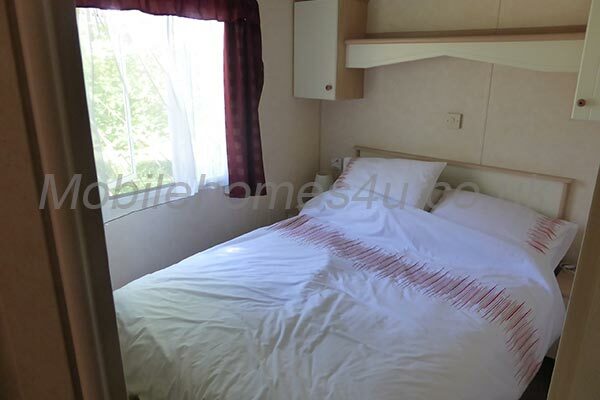 There are 3 bedrooms, the double one having its own en-suite shower room with toilet and basin, ample storage space, a hairdryer and a TV with Freeview. 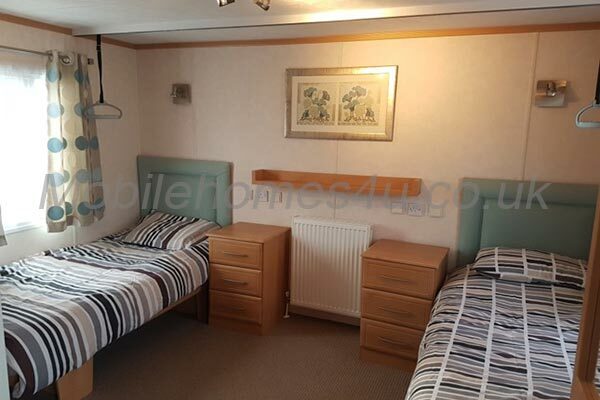 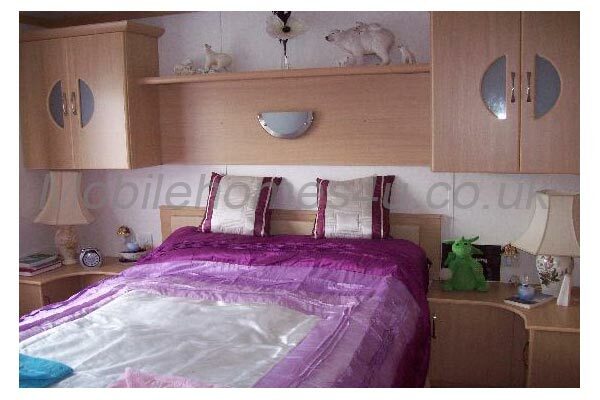 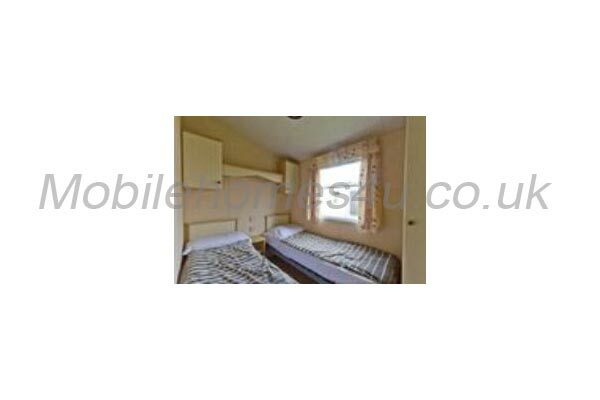 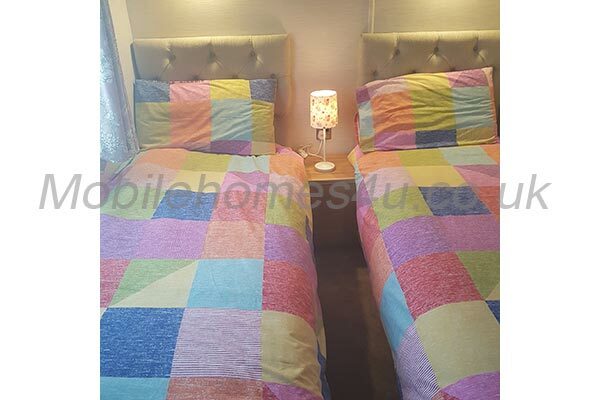 There are a further 2 twin bedrooms. 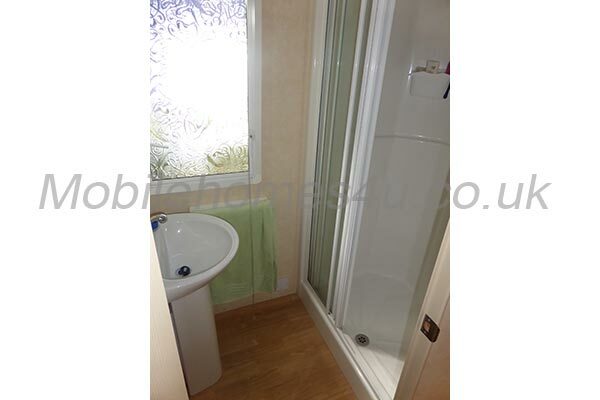 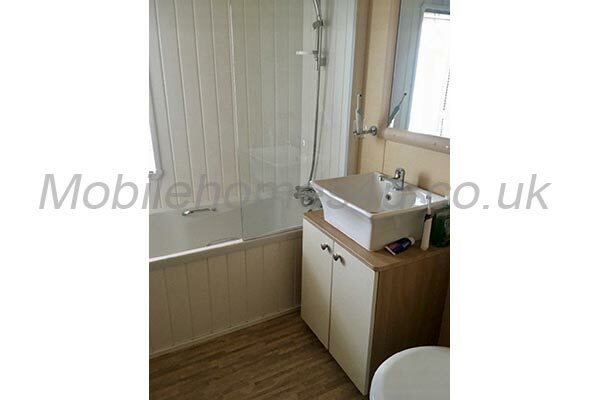 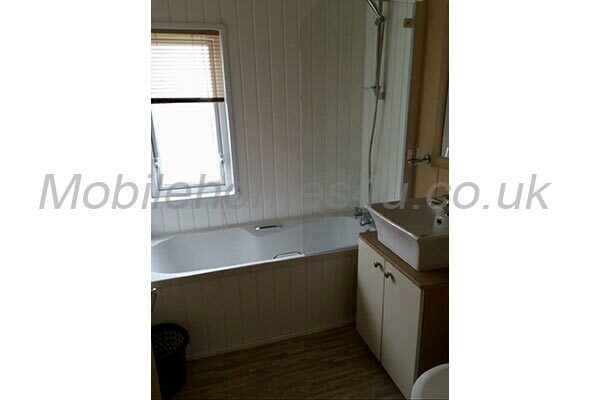 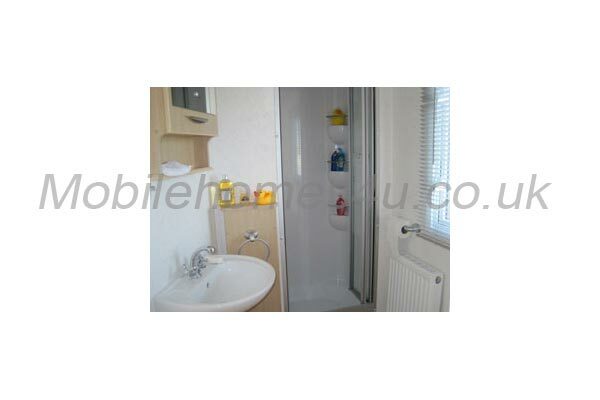 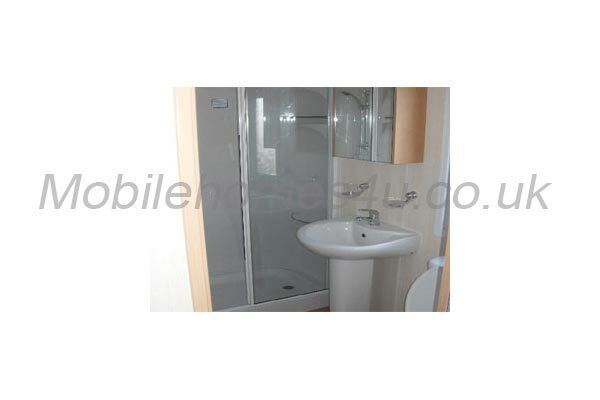 There is a family bathroom with bath, toilet, basin and shaving point. 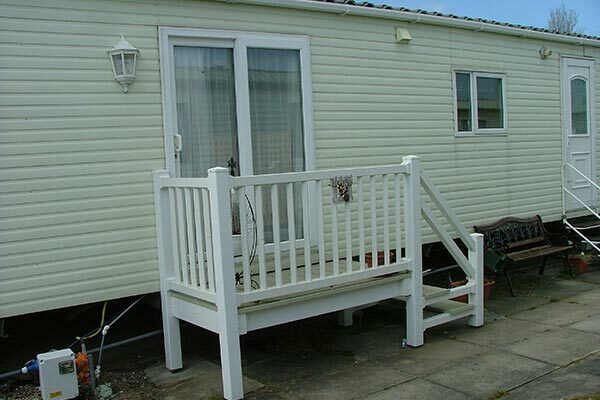 We provide garden furniture, a barbecue and children's playthings. 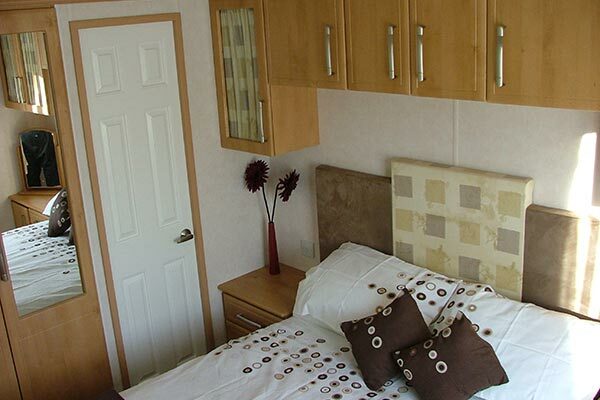 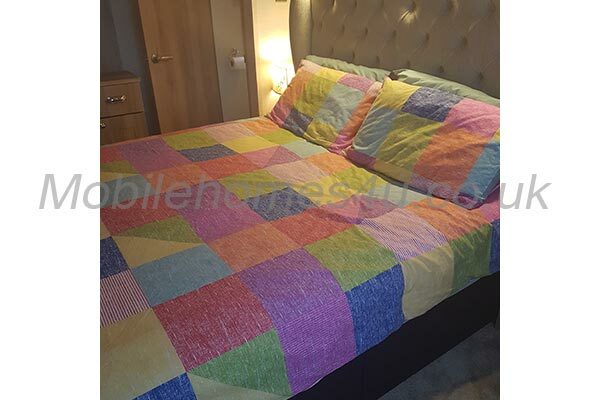 We provide all bedding, tea towels and dish cloths; just bring your own towels. 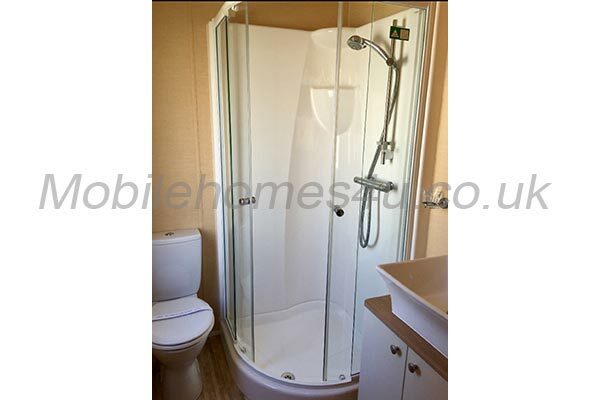 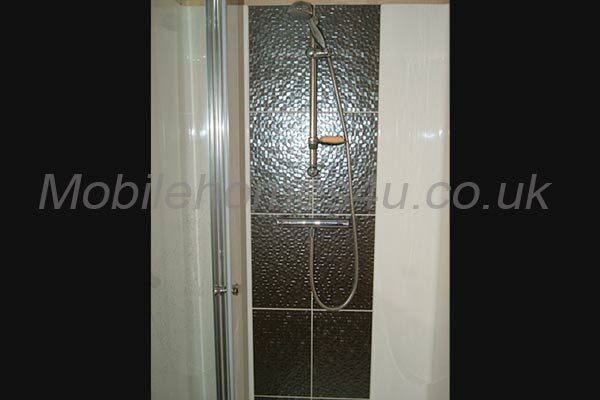 Price range (per week): £275 to £675. To book or for more information please contact owner.